or keep your chilled drinks cool without any condensation building on the outside. The set is not only functional, but stylish too and will compliment your kitchen or dining table with its timeless tapered glass design. 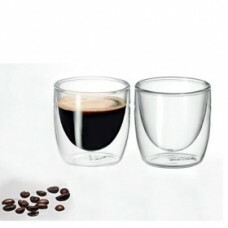 · Made from twin wall borosilicate glass, which is thinner but stronger than normal glass, and won't cloud over time.